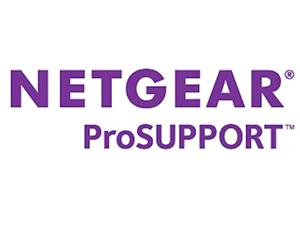 The NETGEAR ProSUPPORT offerings provide you with peace of mind by extending and enhancing the standard warranty coverage included with your product purchase. With ProSUPPORT, you get direct access to NETGEAR technical support engineers and the backup resources who can rapidly resolve critical technical issues. Moreover, the onsite hardware replacement option, with next business day labor onsite, provides you with a cost-effective way to maintain your network and storage systems. The NETGEAR Support network spans the globe with local support in over 26 countries. NETGEAR Support Centers provide technical support in 16 different languages with English speaking support staff available 24x7 in North America, Australia, and major European countries. Backed by NETGEAR R&D engineering, our technical support engineers have the proven expertise to quickly resolve even the most challenging technical problems. OnCall 24x7 extends the 90-day warranty entitled technical support (phone and email) for standard and advanced features to the length of the contract term.